"Spotlight" gracefully handles the lurid details of its fact-based story while resisting the temptation to lionize its heroes, resulting in a drama that honours the audience as well as its real-life subjects. "Spotlight" tells the riveting true story of the Pulitzer Prize-winning Boston Globe investigation that would rock the city and cause a crisis in one of the world's oldest and most trusted institutions. When the newspaper's tenacious "Spotlight" team of reporters delves into allegations of abuse in the Catholic Church, their year-long investigation uncovers a decades-long cover-up at the highest levels of Boston's religious, legal, and government establishment, touching off a wave of revelations around the world. 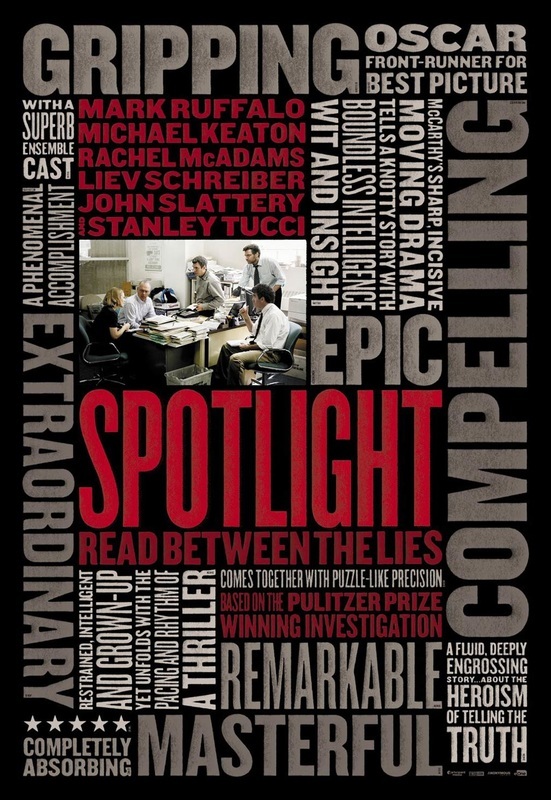 Directed by Academy Award-nominee Tom McCarthy, "Spotlight" is a tense investigative dramatic-thriller, tracing the steps to one of the biggest cover-ups in modern times. "Near-breathless high-tension performances from a fully immersed ensemble, each member conveying an unflagging determination to unveil the breadth of degeneracy." "One of the year's most noteworthy Oscar contenders and a brilliant ensemble piece." "The screenplay, by Tom McCarthy and Josh Singer, is one of the film's greatest strengths." NOTE: C-FYLM MEMBERSHIP REQUIRED (AVAILABLE ON DOOR).